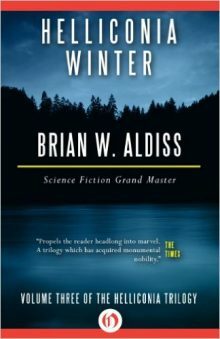 Winner of two Hugo Awards and one Nebula Award, and named a Grand Master by the Science Fiction Writers of America, Brian W. Aldiss has, for more than fifty years, continued to challenge readers’ minds with literate, thought provoking, and inventive fiction. After many centuries, the flowering of human civilization has begun to dwindle again and the Great Year slowly progresses while the long, deadly cold winter looms—but a break in the long, repeating cycles of growth and decay may result from the long-ago visit of the Earthman. New legends of the spring and summer have evolved and a new future may be aborning.